NASA worried the Christian ceremony may draw unwanted scrutiny. 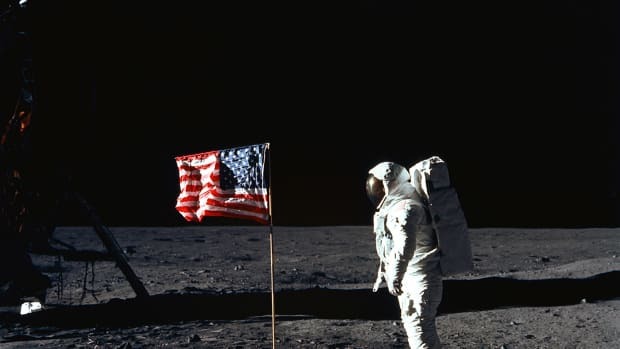 When Apollo 11‘s Eagle lunar module landed on the moon on July 20, 1969, astronauts Neil Armstrong and Buzz Aldrin had to do something hard: Wait. They were scheduled to open the door of their lunar lander and step onto the unknown surface of a completely different world. But for now, their mission ordered them to take a pause before the big event. And so Aldrin spent his time doing something unexpected, something no man had ever attempted before. Alone and overwhelmed by anticipation, he took part in the first Christian sacrament ever performed on the moon—a rite of Christian communion. 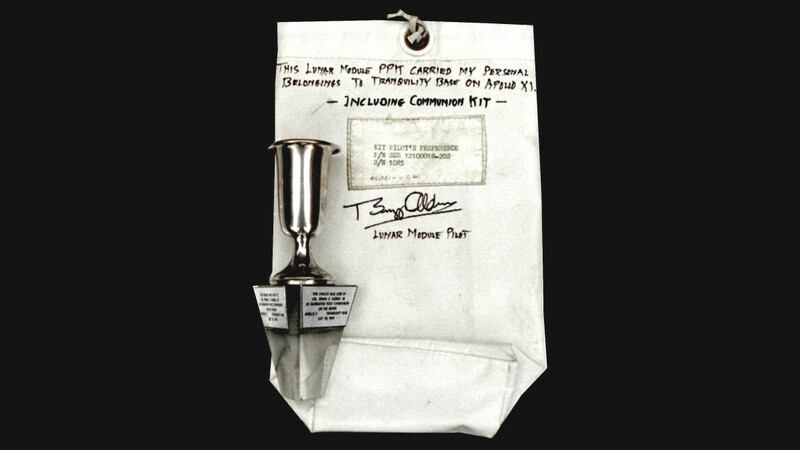 Aldrin’s lunar communion has since become shrouded in mystery and confusion, but the rite itself was relatively simple.The astronaut was also an elder at Webster Presbyterian Church, and before he headed into space in 1969, he got special permission to take bread and wine with him to space and give himself communion. Men had already prayed in space, but Aldrin was about to go one step further—literally and figuratively. Part of his mission was not just to land on the moon, but to walk on it. 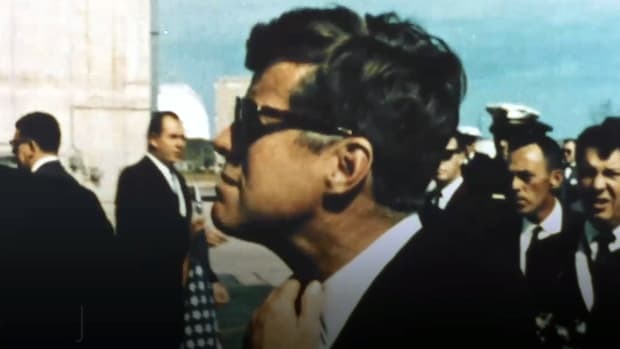 To prepare, he took communion after the Eagle lunar module landed on the moon’s Sea of Tranquility during an hours-long downtime period designed to let the astronauts recover from their space flight and prepare for their moon walk. The mood on the module was sober. Both Armstrong and Aldrin knew how important their mission was. “I was certainly aware that this was a culmination of the work of 300,000 or 400,000 people over a decade and that the nation’s hopes and outward appearance largely rested on how the results came out,” Armstrongrecalled in an oral history. Then he reached for the wine and bread he’d brought to space—the first foods ever poured or eaten on the moon. “I poured the wine into the chalice our church had given me. 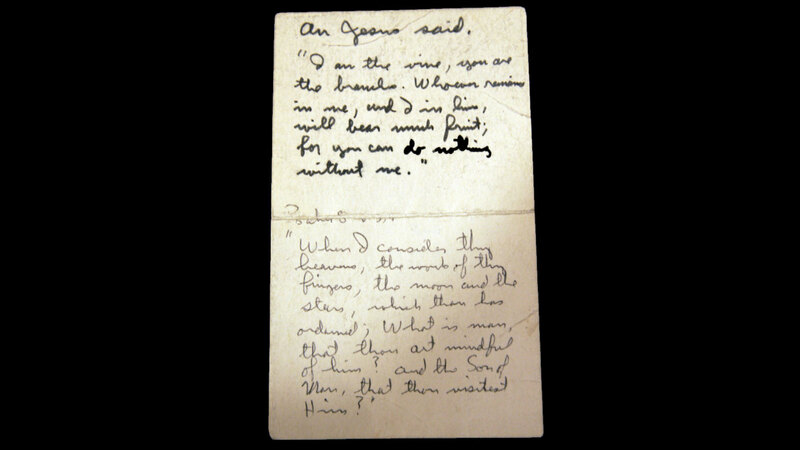 In the one-sixth gravity of the moon the wine curled slowly and gracefully up the side of the cup,” he later wrote. Then, Aldrin read some scripture and ate. Armstrong looked on quietly but did not participate. Aldrin felt that the service should be broadcast to the entire world. But atheist activist Madalyn Murray O’Hair, oncedubbed “the most hated woman in America” for her high-profile activism on behalf of the separation of church and state, indirectly doomed the communion service. A few months earlier, O’Hair hadsued NASA after Apollo 8 astronauts read the Book of Genesis during a broadcast made on Christmas Day 1968, when they became the first humans to orbit the moon. 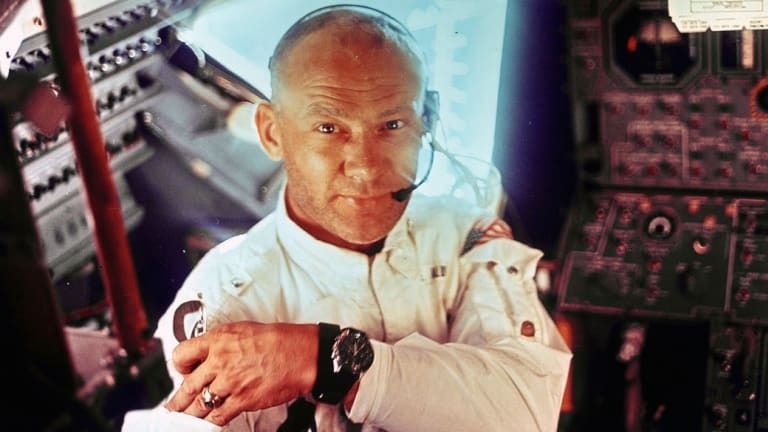 Though the press didreport the fact that Aldrin would bring communion bread on the spacecraft, he kept the ceremony low-key and, out of respect for the debate over religion on the moon, kept the ceremony confined to the spacecraft and not the surface of the moon. Aldrin wasn’t the only astronaut to experience religious rituals in space. 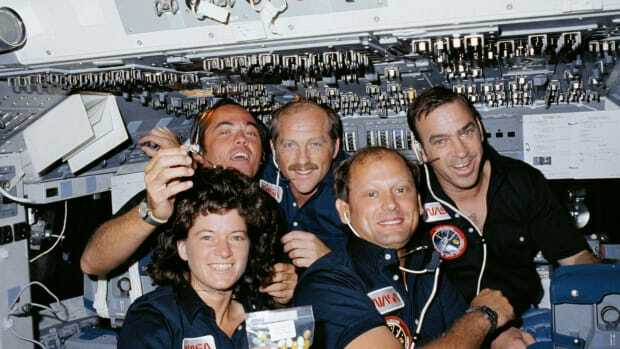 In 1994, three Catholic astronautstook Holy Communion on board Space Shuttle Endeavor. 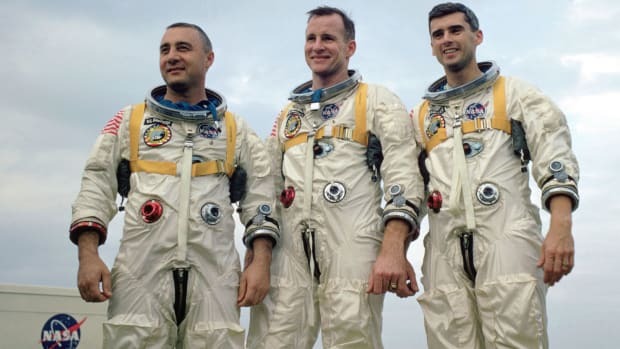 Israeli astronaut Ilan Ramonreportedly recited the Jewish Shabbat Kiddush prayer in space (he later died when Space Shuttle Columbia exploded in 2003). And Russian cosmonaut Sergei Ryzhikovtook a relic of St. Serafim of Sarnov, a Russian Orthodox saint, to space in 2017. The first space communion was only experienced by two men, but it hasn’t been forgotten by the wider world. Lunar Communion Sunday is stillcelebrated annually at Webster Presbyterian and elsewhere to commemorate the event, and Aldrin spoke and wrote about the experience later in life. However, the low-key nature of the ceremony in space itself later led torumors that it happened in secret.